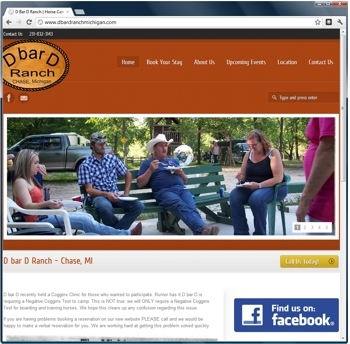 D Bar D Ranch Michigan is a horseback riding campground located in Chase, MI and one of my newest clients. When I first spoke with Don from D bar D the Ranch was going through a transition and he was ready for a change. They were utilizing a Joomla site that they where not very happy with as it had a lack of user ease and I figured that I had a good way to get him in a better position. We decided to go with a WordPress CMS, which to many of you is no surprise as I feel these are the easiest to use for most clients. The overall useability and the SEO friendliness of these sites is untouchable. 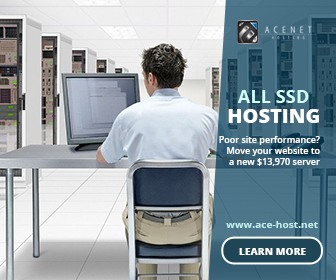 As well as the availability of a bunch of great plug ins makes these website builds a dream. With D bar D Ranch being a campground what we where needing more than anything was two things. 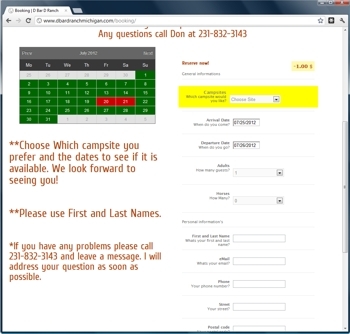 A great event calendar and a way for his clients to be able to book their campsites online. The event calendar was a breeze. There are many options out there. We went with a plug in called Event Calendar which had both a great sidebar widget and an easy to use full page calendar. Piece of cake. The booking calendar on the other hand was just slightly harder. In this situation he needed something slightly more complex than your average booking plug in such as what is normally used on a hotel site for example. He needed numbered campsites with different details and and types, as well as different prices. We finally decided to go with Easy Reservations to fit our needs and we have not looked back. There is one downfall that I have found so far with that plug in is that it does not allow for auto booking. All of the bookings have to be approved by the system admin, but besides that I love everything about it. It has a great interface and is very easy to read and use. The dashboard for Easy Reservations itself looks very professional with a graphic based look and makes it very easy to see what you have booked and what you do not. Which really can not be beat!! !